Cape Town has been named the World’s Leading Festival and Events Destination at this year’s World Travel Awards in Lisbon, Portugal. 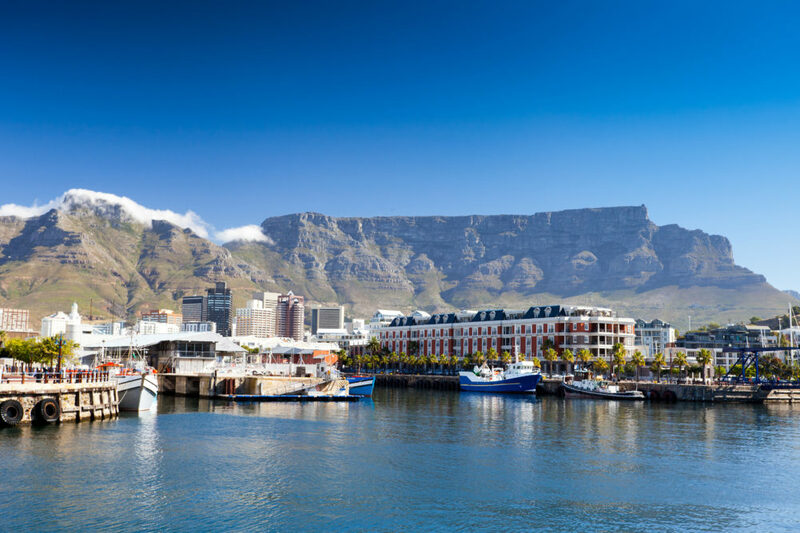 Commenting on the accolade, Dan Plato, executive mayor said: “We want the world to know that Cape Town is the destination to invest in, a place to work, for entertainment and the best place to live. “This award proves that Cape Town has what it takes to lead the way in organising and hosting events. Last week representatives from national government, provincial government, the city’s events office and myself spent two days in intensive preparations and rehearsals to present the bid on behalf of Cape Town and South Africa, to host the 2023 Netball World Cup. “It would be the first time on African soil and would be a milestone for the City, the country and the continent if we win the bid to host the largest women’s sporting event in the world,” said Alderman JP Smith, the city’s mayoral committee member for safety and security; and social services. “Not only are these events prestigious in itself, but they are also critical to promoting job opportunities and developing the South African economy to support our local communities. International audiences love Cape Town and also want to share in our joy and pride,” added Smith. The city’s events department has successfully driven local home-grown events by facilitating, providing guidance and coordinating events. “It is important that we eliminate red-tape to encourage more investment into our city and further attract major events of an international standard. In the previous financial year, through the permit office, the city issued 1,277 event permits and supported 180 events. The economic spin-offs from events generate a ripple effect of job creation during and after events, and the increased spend at Cape Town attractions; enriching the city’s knowledge in hosting and creating opportunities for the some of the people working on the events to initiate and grow their own businesses. Eight of the events being hosted in Cape Town over the next 12 months will contribute more than R3bn to the local economy and create more than 20,000 temporary jobs. The successful implementation of the the city’s event strategy has seen the City of Portsmouth, south of England, use it as a blueprint to assist with strategically positioning Portsmouth as an event-friendly destination. The world’s largest timed cycle race has been held in Cape Town for over four decades. It has grown from more than 500 cyclists in 1978 to 42,500 competitors from across Africa and the world. The race brings in about R408m into the economy and creates about 1,500 jobs. With at least 34,000 festival goers annually, the Cape Town International Jazz Festival has a contribution of about R600m into the economy. It is the largest jazz festival on the continent and recognised as the fourth largest in the world. The popular free concert on Greenmarket Square provides the jazz experience to thousands who are not able to attend the main festival at the Cape Town International Convention Centre. The festival of creativity has been hosted in Cape Town for the last two decades and sees about 48,000 visitors from over 26 countries come to the city to share ideas on all things design. Over the past six years, Design Indaba has ploughed about R1,7bn into the economy. Cape Town will be hosting the Cape Town Sevens for the fourth time from 8 – 9 December 2018 at the Cape Town Stadium. HSBC Cape Town Sevens brings in about R674m into the economy. Old Mutual Two Oceans Race is the biggest half marathon in South Africa some 16,000 participants while over 11,000 athletes take on the 56km Ultra Marathon. It provides a R672m boost to the economy. The Cape Town Marathon sees some 20,000 athletes from 67 countries take on the marathon. This offshore yacht race made its 11th stop in Cape Town for the South African leg of the competition last December, bringing in about R540m into the economy.